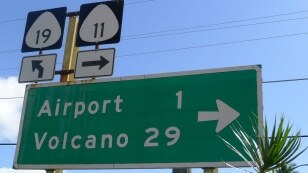 This way to one of the world's most active volcanoes: Kilauea. 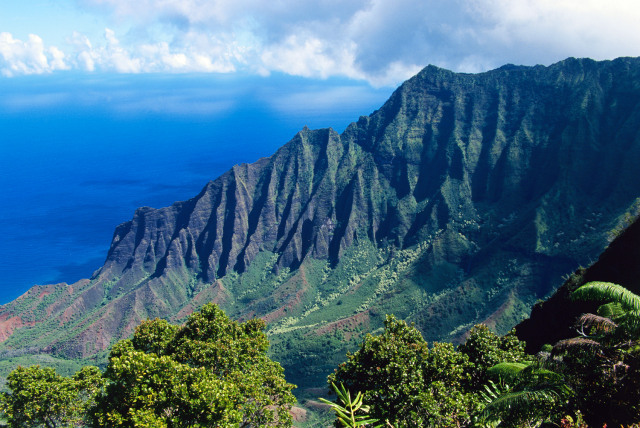 Most Hawaiian vacations focus on sun, sand and snorkeling. Nothing wrong with that. But on the Aloha State’s Big Island of Hawaii — home to one of the world’s most active volcanoes and the planet’s most powerful astronomical observatories — a holiday can pack a lot more punch. NASA created these special treats for Hawaii-born astronaut Ellison Onizuka. What’s more adventurous than outer space? A great spot to start (or end) your trip is at the Kona International Airport, where the Astronaut Ellison S. Onizuka Space Centeris just a 30-second stroll from the open-air terminals. Created to honor the Big Island-born astronaut who died with six others on the space shuttle Challenger in January 1986, the center is packed with hands-on activities that illustrate science and space concepts. 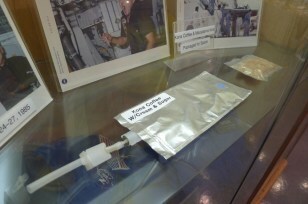 Exhibits include a lunar rock sample, an authentic NASA spacesuit and packages of the freeze-dried macadamia nuts and Kona Coffee (with cream and sugar) that NASA created to make sure astronaut Onizuka could feel at home in space. Tip: There’s a lot to see here, but don’t miss the panels that describe how NASA astronauts used the Big Island’s lava fields to prepare for the Apollo moon landings in the 1960s. 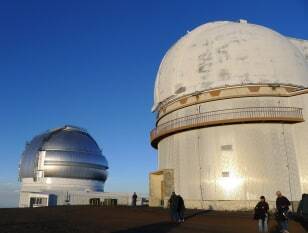 The world's largest astronomical observatory is on the summit of Mauna Kea. If the Onizuka Space Center inspires you to wonder what’s out there beyond Earth, show up for the free nightly star-gazing programs offered at the Onizuka Center for International Astronomy. The center is at the visitor information station on the 9,300-foot level of Mauna Kea, the Big Island’s dormant volcano. On weekends, a caravan of four-wheel drive vehicles is invited to follow center staff up to the mountain’s 14,000-foot summit, which is home to the world's largest astronomical observatory — and some incredible views. Tip: If you don’t want to rent a four-wheel drive vehicle and attempt the twisty, treacherous drive to and from the summit, Hawaii Forest & Trail is one of eight companies licensed to take visitors to and from the summit at sunset in passenger vans. Whale-watching boats can get within 100 yards of these giant creatures. Several species of whales visit the Big Island waters year-round, but January through April is the best time to see giant humpback whales. Up to 7,000 of the 45-ton, 40-foot-long (on average) creatures seek out the tropical Hawaiian waters to breed and give birth to calves. 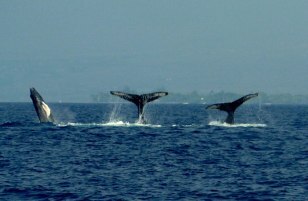 Humpbacks can be seen surfacing, tail slapping and blowing spouts from many spots on the shore, but for a closer look, join a whale-watching boat tour with Hawaii Ocean Sports or one of the many other companies that will make sure you get as close as legally possible to the visiting whales. Tip: A good spot to look for whales from land is from Buddha Point (just beyond the dolphin pool) at the 62-acre Hilton Waikoloa Village. It’s on the island’s Kohala Coast, about a 20-minute drive north of Kona International Airport. 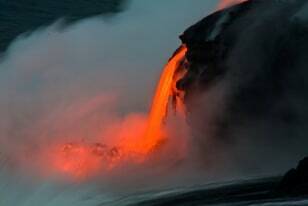 Boat tours are the best way to see lava flowing into the sea on Hawaii's Big Island. Tip: Kilauea is unpredictable. Call ahead 808-985-6000 or visit the Hawaii Volcanoes National Park website to find out what areas of the volcano are active. 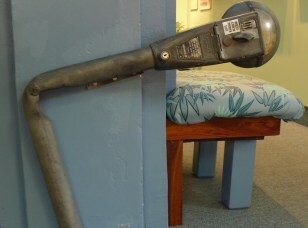 A reminder of the force of a tsunami, which was strong enough to bend this parking meter. 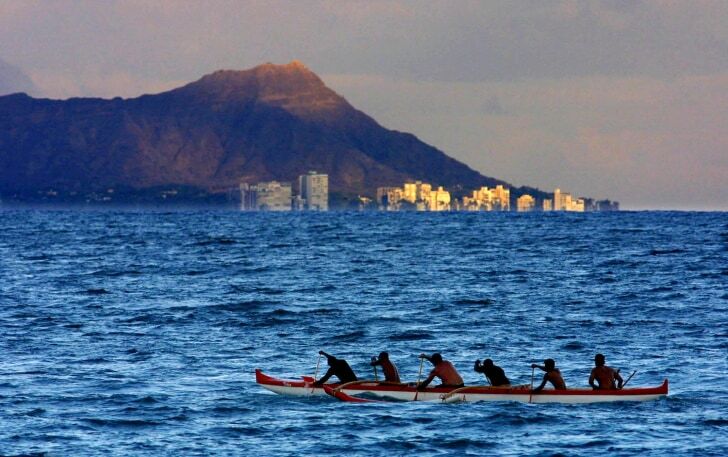 Hawaii isn’t all warm breezes and gentle waves. Over the years, natural disasters such as hurricanes, earthquakes, volcanic eruptions and tsunamis have done their damage on the Big Island. You probably don’t want to experience any of those adventures first hand, but at the Pacific Tsunami Museum ,you’ll find scientific information, oral histories from survivors, photos, videos and artifacts that tell the story of the giant waves that hit Hilo on April 1, 1946, and on May 23, 1960. Tip: Whether or not you plan to tour the museum, stop by to pick up a free brochure for a walking/driving tour of historical tsunami sites on the Big Island. 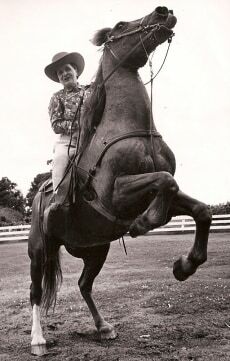 Hawaii's First Lady of Ranching, Anna Leialoha Lindsey Perry-Fiske, on her horse. Founded in Waimea in 1847 with two acres of land, the Parker Ranch is one of the oldest cattle ranches in the United States. Now encompassing thousands of acres, the historic ranch was for many years also the country’s largest. The ranch’s museum, historic homes and visitor center are now closed, but visitors can learn all about Hawaii cowboy, or “paniolo,” culture at the Anna Ranch Heritage Center in Waimea. This 110-acre spread was overseen by Anna Leialoha Lindsey Perry-Fiske who, until her death in 1995 at age 95 was known as Hawaii’s First Lady of Ranching. Now the ranch offers a look inside a 14-room ranch house and a Hawaiian saddle museum and the opportunity to see Charolais cattle and demonstrations of blacksmithing, saddle making and other traditional ranching activities. Tip: Anna was not just a hardworking cowgirl; she was a lady. Be sure to see her extensive collection of stylish hats. 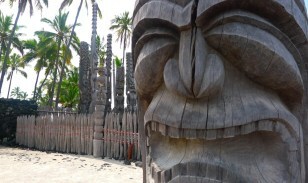 Ancient Hawaiians who broke the law could seek refuge here. Puuhonua o Honaunau, near the town of Captain Cook, is a 180-acre national historic park on land that was once home to Hawaiian royalty. Ancient Hawaiians who broke a kapu, or sacred taboo, had few options: They could flee and be pursued, caught and put to death or try to reach the shore of this sacred site, where they’d be given refuge and absolution and allowed to return home safely. (Which would you choose?) Today visitors are invited to take a half-mile, self-guided tour of the grounds and ask forgiveness for modern-day sins at the Place of Refuge. Unfortunately, automatic absolution is no longer assured. Tip: Keauhou Kahalu‘u Heritage Center (in the Keauhou Shopping Center, 19 miles north of Puuhonua o Honaunau) is a free museum detailing restoration of other ancient historical sites, including the two recently restored Hawaiian stone temples (heiau) on the grounds of the nearby Keauhou Beach Resort. Meet Melainah ray, one of hundreds of manta rays that has been identified and named. 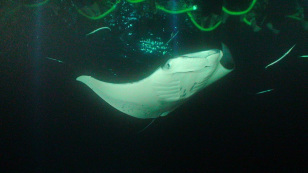 With wing spans that can reach more than 20 feet, the manta ray is the largest of the ray species. Two popular ways to meet mantas on the Big Island are from a special public viewing area at the Sheraton Keauhou Bay Resort and Spa or from the water during a nighttime snorkel or scuba dive. Harriet Baskas is a frequent contributor to msnbc.com, authors the “Stuck at the Airport” blog and is a columnist for USATODAY.com. You can follow her on Twitter . This image contains graphic content that some viewers may find disturbing. Click to view the image, or use the buttons above to navigate away. NATALIE MORALES, anchor: In Hawaii , a new vent has opened in the Kilauea volcano , which has been constantly erupting since 1983 . Geysers of lava shot 65 feet into the air. Officials say, though, no homes are threatened. Some stunning pictures there, though. Seven-eleven right now. Back over to Matt , Ann and Al . You just don't want to be anywhere near that. ANN CURRY, co-host: You were actually able to report from there, weren't you, at one time? LAUER: We walked on some of the lava floes there. LAUER: It changes every five seconds. You got to be careful where you're walking there.